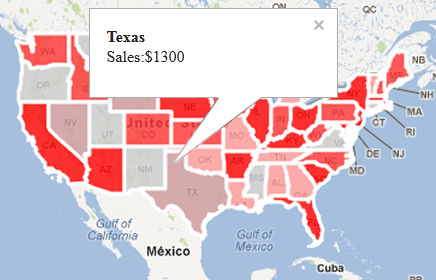 Use Geographic Area Polygon Tool to create overlay region layer for geographic areas. e.g. for creating colored states / counties of United States. you may change polygon settings in the dialogue. 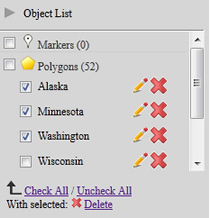 or select multiple polygon from the Object List on right side.